Discover the complete range of Vaporella steam generator irons with boiler and bring professional quality ironing into your home. Polti has thought of everything: complete your ironing kit with stable and breathable professional ironing boards, to make your ironing even easier. Choose the Vaporella steam generator iron and ironing board that best suits your needs: start ironing your clothes effortlessly and in no time. 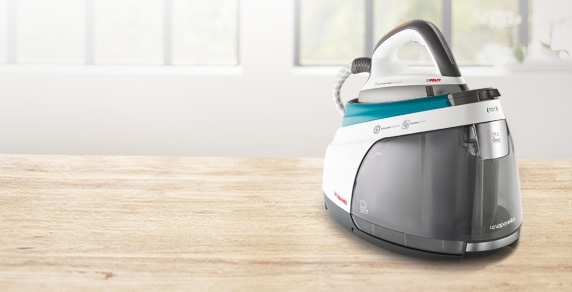 Vaporella steam generator irons are the solution for perfect yet fast ironing. 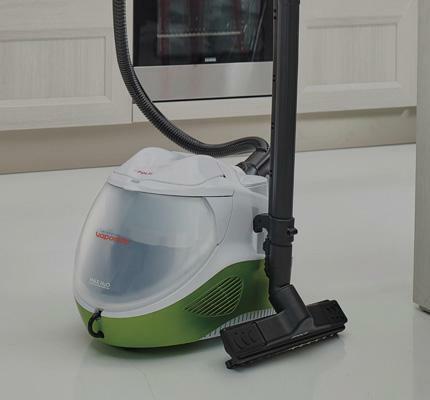 Thanks to the holes concentrated at the tip of the iron and to the high-pressure boiler, Vaporella lets you remove creases from clothes in just one go. Steam generated in the boiler is dry and powerful, so can smooth out creases on the first pass. 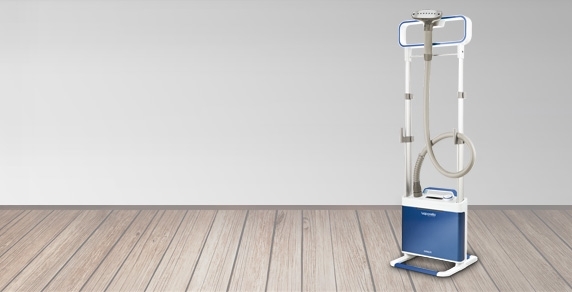 Polti Garment Steamers are immediately ready to use, practical and versatile, they are designed to adapt to the daily needs of the whole family: they refresh fabrics and remove small creases, eliminate odours from garments and home textiles, and are also perfect for treating the most delicate clothes. 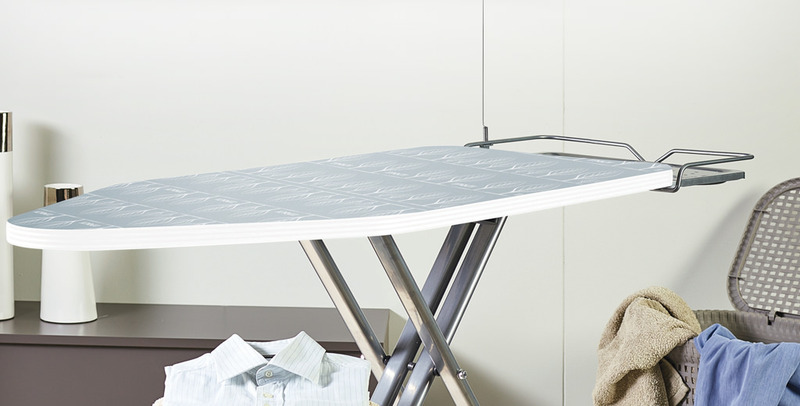 Polti offers ironing boards for every need and with performance worthy of a professional ironing service: with suction function for faster ironing, breathable to avoid dampness on fabrics, with blowing function for the lightest fabrics and with heating function to dry clothes quickly. Reliable, powerful, intelligent: top performance with no maintenance to save time and effort . 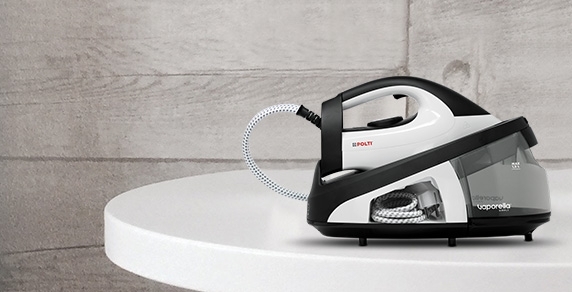 Reliable, powerful, intelligent: the evolution of ironing, easy for everyone. La Vaporella from 1978 to today. Reliable, powerful, intelligent. La Vaporella from 1978 to the future; Today, with 10 years warranty. 10 year warranty and no maintenance to offer the best performance, saving time and effort. La Vaporella offers you the best performance saving time and effort: 10 year warranty and no maintenance. Polti ideas to ensure that your stored clothes stay fresh and wrinkle-free. How to use labels to keep children’s wardrobe organized. Read our tips on how to decorate garments and home textiles with plastic appliqués.